At one time Wasioja had many community buildings. Today, just a stop in the road. But this little town has a lot of history going back to 1850's - read about the seminary/college below and the effect of the Civil War on the community. The ONLY Civil War recruiting station to survive in Minnesota is in Wasioja - see photo below. Anxious to promote the growth of the newly formed town, the citizens agreed to provide the Free Will Baptists with a building for a seminary. 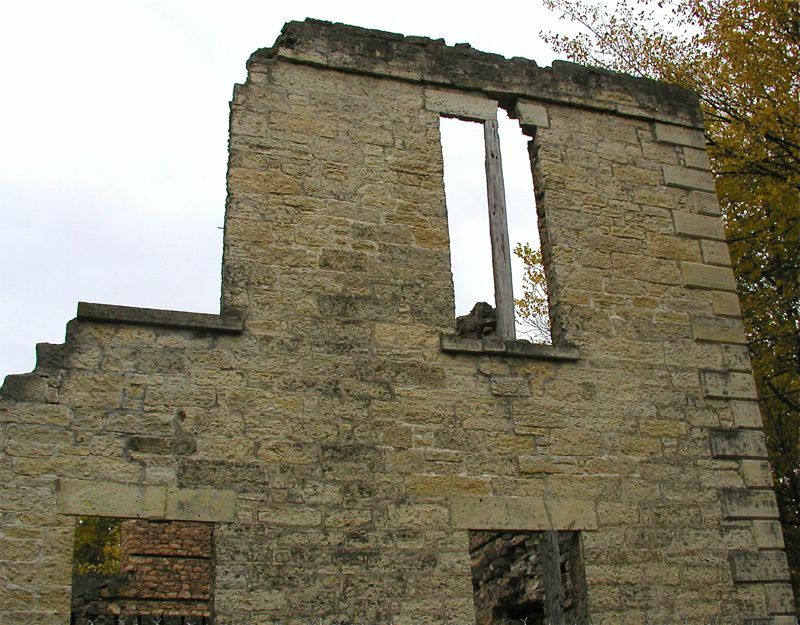 A structure of native limestone was completed in 1860, and the Minnesota Seminary opened in November of that year with and enrollment of more than 300 students. By 1861 the school had been renamed Northwestern College and offeered classes on all levels from primary to collegiate. In 1862 Wasioja had a dozen stores, a hotel, a flour mill, and was surrounded by farms and qurries that promised a great future. Then the Civil War started. Men from Minnesota were on the battlefields. Captain James George, who had served in the Mexican War, asked the students to volunteer. Lead by professor Clinton A. Cilley, the young men marched down to Captain George’s law office and enlisted. That office - the Civil War recruiting office is preserved today - the only one in Minnesota. Organized as Company C of the 2nd Minnesota, they marched off to war. Just over a year later at Snodgrass Hill near Chickamauga they stopped the Confederates advance at a high cost. Of the eighty young men that left Wasioja, only 25 returned with life and limb intact. The town never recovered from the great loss. The school continued to operate, although its enrollment had been cut in half. In 1868 the Free Will Baptists ceased their sponorship and it was reopened as the Groveland Seminary. Closing in 1872 and was reopened again in 1875 by the Wesleyan Methodist Conference. 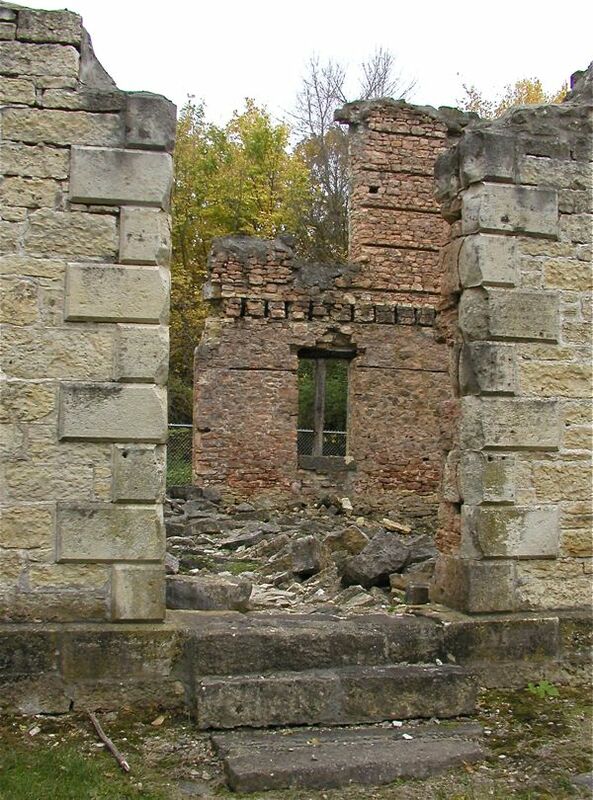 The school finally closed in 1894 and in 1905 a fire destroyed the building, leaving the ruins that stand today. Rev A. B. Gould, a graduate and instructor of the Seminary, acquired and preserved the ruins. On his death his heirs deeded the site to Dodge County as a public park. When the Civil War began in 1861, Minnesota was the first state to offer and send troops to aid the Union cause. In April, 1861, this building was converted to use as a recruiting station. Recruits from the Wasioja Station, numbering over 200, formed the nucleus of Company C of the Second Minnesota Volunteer Infantry Regisment. They were sworn in by Colonel James George, who later led them at the battle of Chickamauga. Built in 1855 by Colonel George, a Mexican War veteran, to serve as his law office and as a bank, the building was the meeting center of the village in the late 1850's. In the years following the Civil War, it was used as a jail, office, storeroom, post office and private residence. 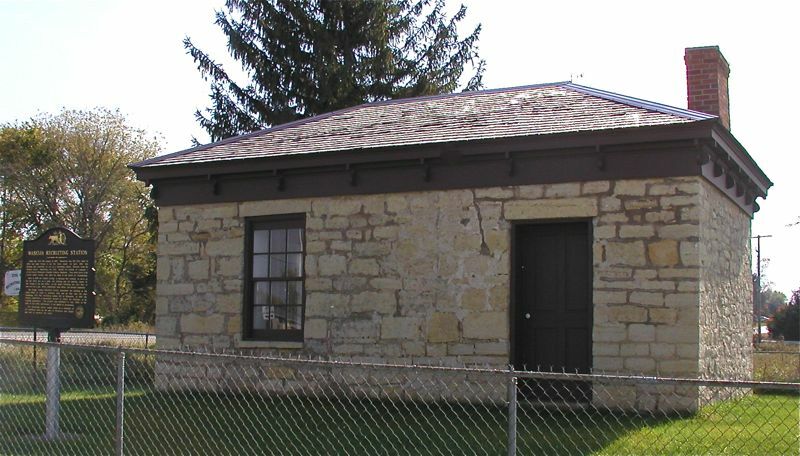 The Dodge County Historical Society purchased the building in the early 1960's in order to preserve what was by that time the only remaining Civil War recruiting station left in Minnesota. In 1987 the Society restored the building to it's original appearance. The project was completed in July 1988, at the time of the 125th anniversary of the Battle of Gettysburg. The recruiting station stands today as a reminder of the sacrifices made by the men of Minnesota who fought and died to preserve the Union.